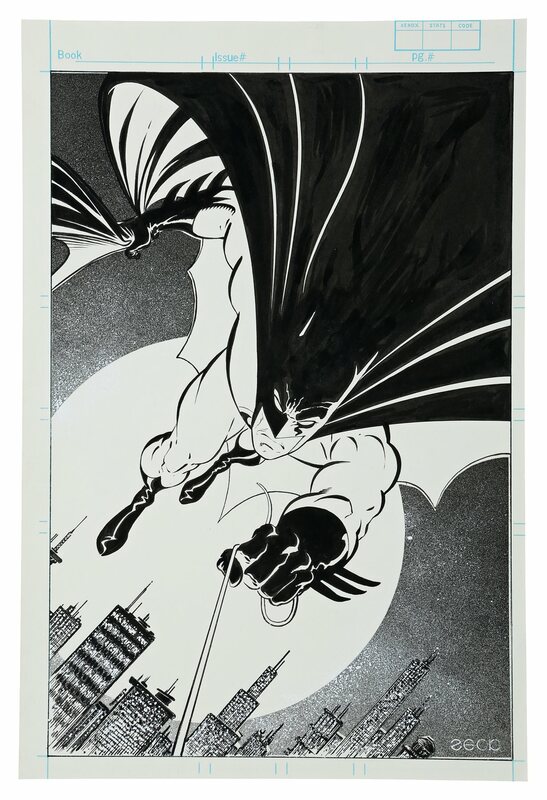 A hand-drawn Batman pin-up by Mike Zeck for a special tribute gallery within Detective Comics #600. 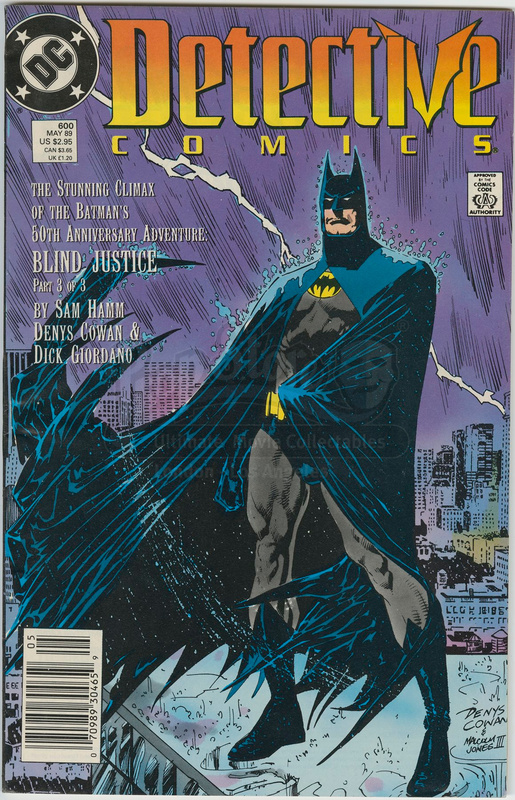 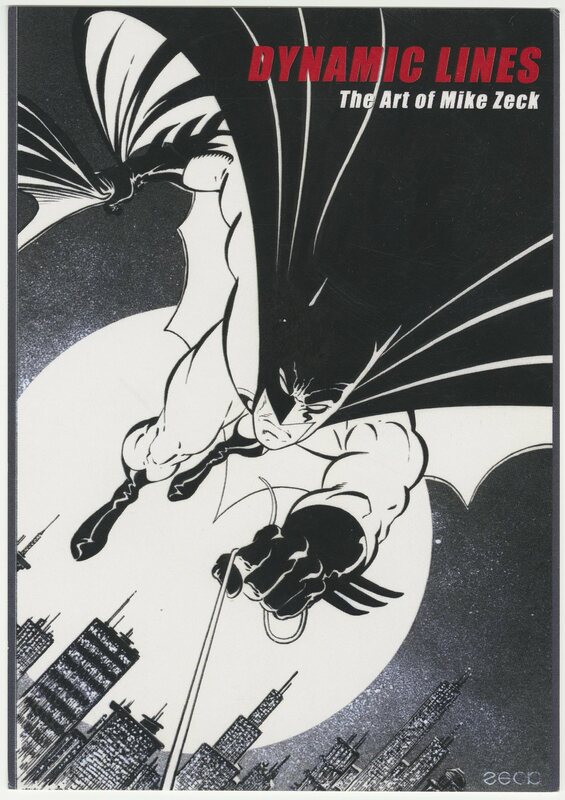 Celebrating the 50th anniversary of the Caped Crusader, Detective Comics #600 included a gallery of pin-up artwork at the back of the issue, featuring Batman art by acclaimed artists such as Bernie Wrightson, Neal Adams, Walt Simonson, Keith Giffen and Al Gordon, among others. This Batman pin-up was drawn soon after Zeck’s famous run of covers that he drew for the classic “Ten Nights of the Beast” storyline that appeared in Batman #417-420. This original pencilled-and-inked pin-up is drawn on Bristol board by renowned artist Mike Zeck (Captain America, The Punisher, Spider-Man). 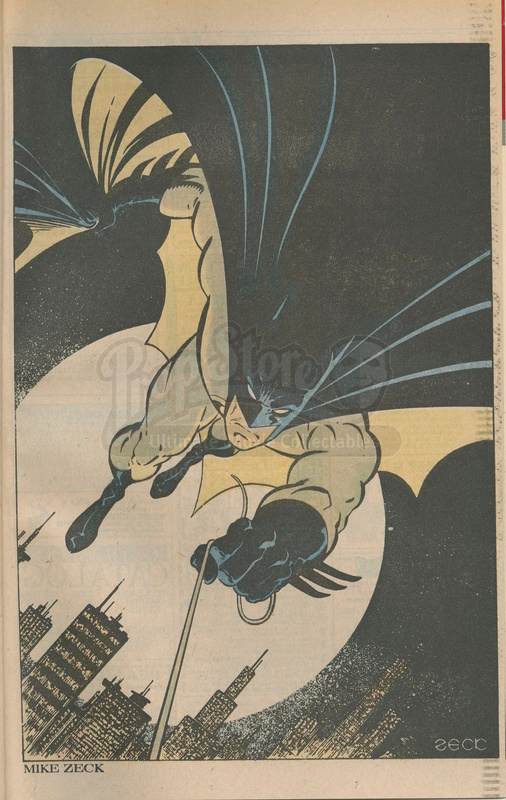 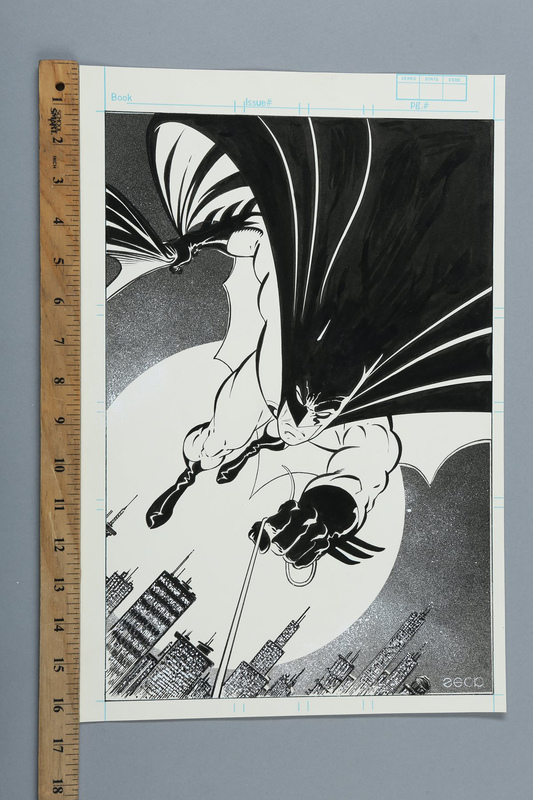 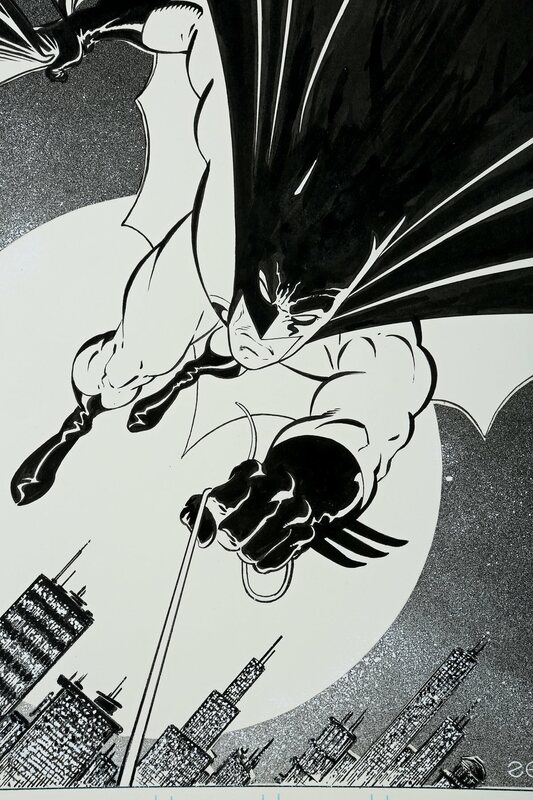 The artwork shows Batman gliding above Gotham City with his Batrope. 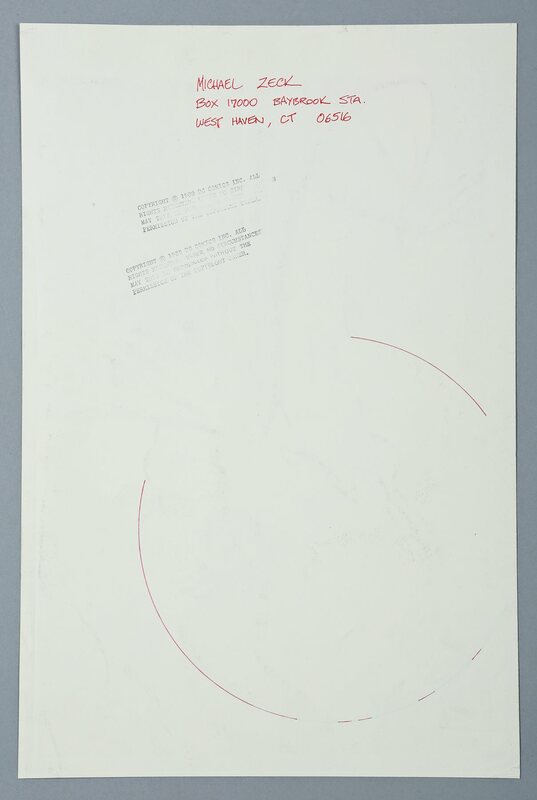 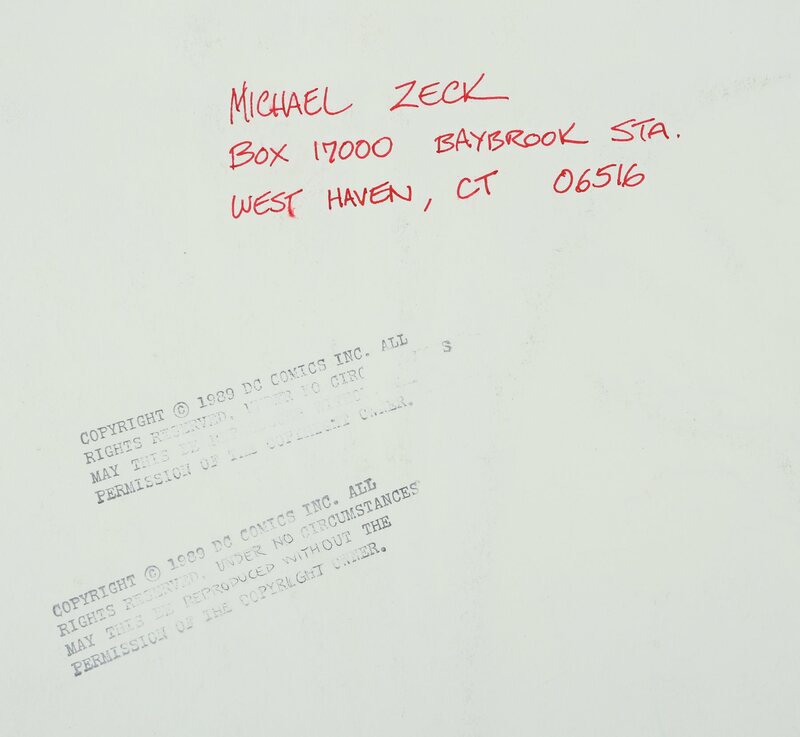 The back of the sheet shows two DC Comics stamps and Mike Zeck’s name. 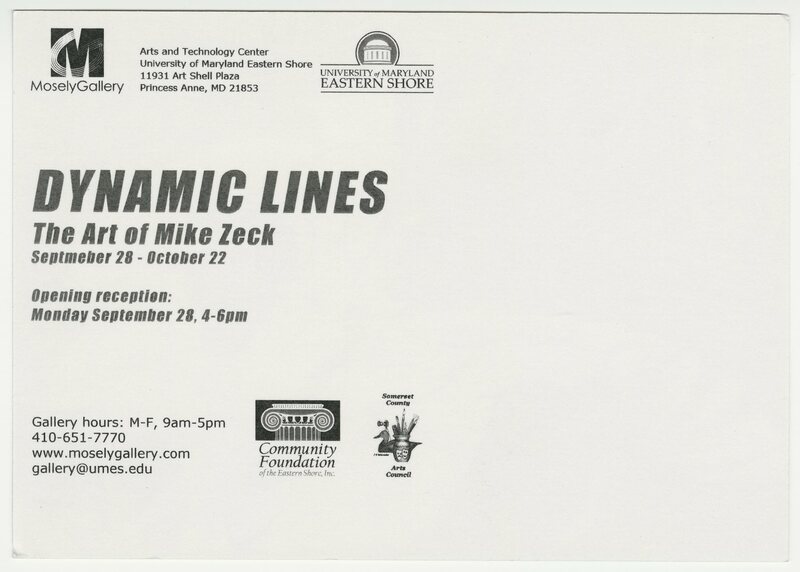 This art was featured in an exhibit of Mike Zeck’s art titled “Dynamic Lines” at the University of Maryland Eastern Shore in 2015 and was used as the poster art for the exhibit.